TOMORROW: November 4GPS Event featuring Dr. Laurence Steinbergy, Ph.D. 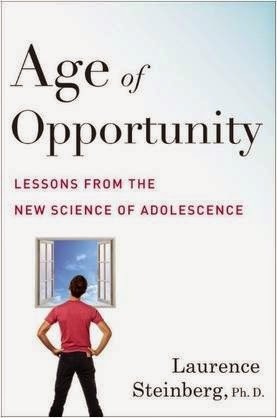 Please join us on Tuesday, November 4, 2014, for a GPS presentation by Dr. Laurence Steinberg, Age of Opportunity : A Practical Workshop for Parents, from noon until 2:00 p.m. at GLENBARD SOUTH. When parents are asked to name the most difficult periods in their child’s development, the teen years usually are at the top of the list. But with a better understanding of how and why your child is changing during the transition into and through adolescence, you can become a more effective parent, reduce the amount of conflict you and your teenager have, help your teenager develop in positive ways, and maintain your own equanimity. In this workshop, Laurence Steinberg, Ph.D., one of the world’s leading authorities on adolescence, will provide an overview of the major physical, intellectual, social, and emotional changes that take place as children move into and through adolescence. You will gain an understanding of how your teenager thinks, why his or her behavior is changing, how your relationship is being transformed, and how all of this is affecting parents’ own well-being. Time Magazine: Injuries. Stress. Divided Attention. Are Coaches Damaging Our Kids?